Facebook released the figures ahead of a Senate hearing where it, together with Twitter and Google. will detail Russia's impact on the popular sites. In a separate development on Monday, an investigation by independent counsel Robert Mueller into possible collusion between the Trump campaign and Russia produced its first charges against two former aides. It also emerged that a third former aide had pleaded guilty in early October to lying to the FBI. Facebook says some 80,000 posts were published between June 2015 and August 2017 and were seen by about 29 million Americans directly, according to a draft of prepared remarks seen by US media ahead of Tuesday's Senate judiciary committee hearing. These posts, which Facebook says were created by a Kremlin-linked company, were amplified through likes, shares and comments and spread to tens of millions more people. Facebook also said it had deleted 170 Instagram accounts, which posted about 120,000 pieces of content. "These actions run counter to Facebook's mission of building community and everything we stand for," wrote Facebook's general counsel Colin Stretch. 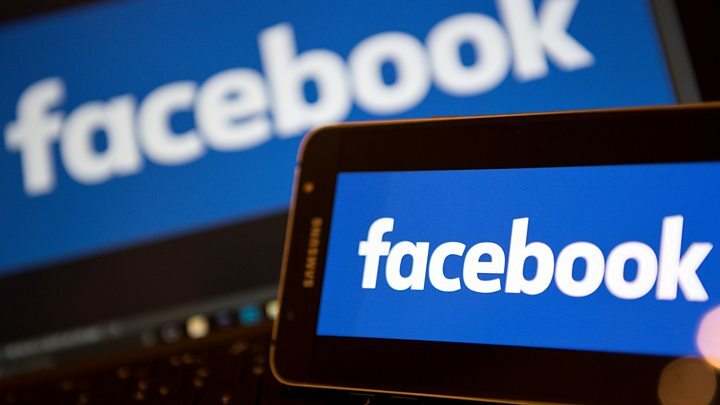 In a blog post from earlier this month, Facebook's Elliot Schrage said that many of the posts did not violate the company's content policies. They were removed, he said, because they were inauthentic - the Russians behind the posts did not identify themselves as such. A post counts as reaching someone when it's shown in Facebook News Feeds, so this figure takes no account of the number of people who may or may not have actually read it. We do not know therefore how many of those 126 million people actually consumed the 80,000 posts and consequently how many of these were influential in terms of affecting voters. Clearly, a mass targeting of posts can have a subliminal impact on people but it is hard to evaluate with any certainty based on the data we have seen so far. What did the fake accounts post? For now, Facebook, Twitter and Google have opted not to make the suspected Russian-backed ads and accounts public. However, several purported examples have been been identified by others. One is a Facebook page called Heart of Texas. Many of its early posts were innocuous memes designed to appeal to patriotic locals. But once it had attracted thousands of followers, it began claiming a victory for Hillary Clinton would attract "refugees, mosques, and terrorist attacks". Another case involved the appropriation of the name of a long-established Muslim group, which then posted false claims about Senator John McCain funding the Islamic State group. Other examples masqueraded as being from gun-rights campaigners, gay rights supporters, Black Lives Matter activists and dog-lovers. Even Twitter's chief executive is alleged to have retweeted one account that celebrated Women's History Month before it changed tack after gaining influence to claim Clinton had received money from the Ku Klux Klan. What about other social media sites? Meanwhile, Twitter found and suspended all 2,752 accounts that it had tracked to the Russia-based Internet Research Agency, Reuters quotes a source as saying. These accounts, which have now been suspended, posted about 131,000 tweets between September 2016 and November 2016. All three companies are also due to testify on Wednesday at the Senate and House intelligence committees. What is happening with the Russia inquiry? Another of Mr Trump's campaign advisers, George Papadopoulos, pleaded guilty to lying to the FBI over his contacts with Russia in the first such indictments by Robert Mueller's special counsel investigating alleged links between the Trump campaign and Moscow.